DiversiCorp Communications grew extremely fast to support Red Oak Health System's enterprise IT needs. Often promoting strong performers from within, DiversiCorp leadership recognized that their directors and managers needed enhanced support to maintain their expected level of service to their health care client. Two performance consultants were engaged who facilitated DiversiCorp leadership through a systematic organizational development process that culminated in the creation of an organizational “competency operating system.” This competency/behavioral-based system took as key inputs existing relevant company competencies and was developed with stakeholder involvement using a critical incident approach. 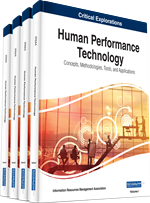 Additionally, it was the core mechanism that then drove performance improvement through improved hiring practices, behavioral interview training, job tools and performance support, enhanced job descriptions, and aligned performance expectations and appraisals. DiversiCorp has adopted the ITIL approach to service management. ITIL (Information Technology Infrastructure Library) is a widely-used set of best practices in the IT service field and is based upon the service lifecycle of service strategy, service design, service transition, and service operation (Arraj, 2013). As DiversiCorp focused on continuously improving its services for ROHS, it looked to ITIL as a key component of this effort. Over the course of the business relationship, the number of DiversiCorp employees who serviced the ROHS account has grown quite rapidly. Three years ago there were approximately 80 employees on the DiversiCorp-ROHS team; today there are over 260. This growth has provided opportunities for professional advancement for individuals at all levels. DiversiCorp has promoted several individual contributors to the manager ranks, and some managers to the director level. The 20 managers and 8 directors on the DiversiCorp-ROHS team have varying levels of skill and experience in managing and directing. As might be expected in a fast-growing organization, several individuals were promoted based upon performance and potential without much support in developing the competencies required for success at the next level. Both DiversiCorp and ROHS had existing models for the purposes of leadership development. DiversiCorp has its own internal leadership initiative based around “leadership dimensions” and ROHS had an existing “leadership competency model.” Both of these models were sound organizational development (OD) tools that aligned to each company’s vision, mission, and values, but were not utilized because of lack of resources (i.e, time) and did not offer a specific set of competency-based behaviors that were vital to the success of DiversiCorp-ROHS managers and directors. Thus, developing management and leadership competencies for these 28 managers and directors represented the next phase of service improvement for DiversiCorp and their on-going partnership with ROHS. Thomas Burnet, Executive Director; responsible for the overall DiversiCorp-ROHS function and the business relationship with ROHS. Gretchen Piperia, Director of IT Group; responsible for quality assurance and ITIL processes. Margaret Templeton, Senior Business Analyst; responsible for talent management, recruiting, and hiring. Janet Tourbaden, Program Manager; responsible for service improvement initiatives and an internal trainer.